Libya - The British government has committed GBP 1.7 million to an IOM project designed to improve conditions for men and women in Libyan detention centres, and facilitate the voluntary repatriation of up to 850 migrants between now and March 2017. The project will also help the Libyan Directorate for Combating Illegal Migration (DCIM) to improve conditions in a number of detention centres and provide direct support and capacity building to DCIM officials to ensure that the human rights of detainees are respected. “The scale of human trafficking and smuggling that is exploiting the situation in Libya is staggering, and it remains a priority for our government to address this situation,” said British Ambassador to Libya Peter Millet. “This project will complement our other initiatives both in Libya and beyond the Libyan border, to help the Libyan government manage irregular migration effectively and in compliance with human rights, while also enabling the repatriation of vulnerable migrants to their home countries. We are grateful for the ongoing cooperation from IOM, DCIM and their implementers on the ground,” he added. 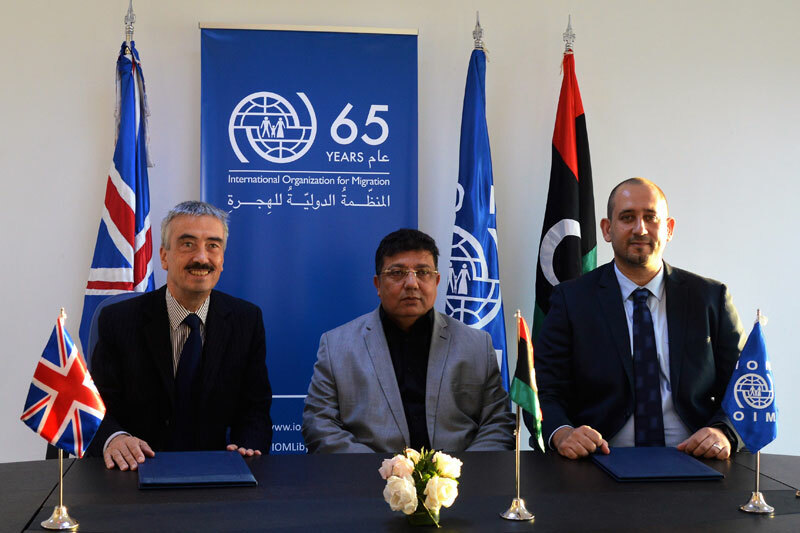 “We look forward to continuing to work closely with the UK,” said IOM Libya Chief of Mission Othman Belbeisi. “Supporting migrants in need and providing direct assistance, in close collaboration with the DCIM, remain at the core of our activities and we thank the British government for their support,” he added. IOM Libya’s Displacement Tracking Matrix has tracked 256,690 migrants, but IOM says that due to ongoing insecurity in the country the actual number of migrants and refugees in Libya could be far larger.